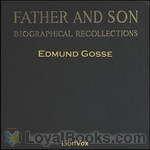 Edmund Gosse - Download Audiobooks & eBooks for iPhone, Android, Kindle and more! A collection of informal essays about books in his library. He combines commentary, translations, and humorous asides about authors and their subjects. LibriVox volunteers bring you nine readings of The Train of Life by Edmund Gosse. This was the weekly poetry project for the week of September 28th, 2014.